Love did not come easy for Molly Shannon and Emily Dickinson. Then she was offered the lead in “Wild Nights With Emily,” and suddenly her passions flared. Written and directed by Madeleine Olnek, the dramatic comedy presents Dickinson as a lesbian who minced no words expressing her desire for her sister-in-law, Susan Gilbert Dickinson. And who desperately longed to see her nearly 1,800 poems in print, stymied by men at every step. Shannon is something of a rebel herself. From 1995 to 2001 on “Saturday Night Live,” she rivaled the physical humor — and influence — of her male co-stars with characters like Mary Katherine Gallagher, a Catholic schoolgirl with superstar dreams, and Sally O’Malley, a high-kicking 50-year-old dancer (impersonated by Hugh Jackman on Twitter in October when he hit the milestone birthday). On a call from Tokyo, where Shannon, 54, and her husband, the painter Fritz Chesnut, were spending spring break with their teenagers, Stella and Nolan, she spoke about Emily Dickinson as an unlikely L.G.B.T.Q. hero and the collusion that tried to silence her. Madeleine has said that casting you was extremely important to her — that with Emily Dickinson she knew that she finally had a part worthy of your stature. Madeleine and I met at N.Y.U. drama school. She directed this show called “The Follies,” which was scripted comedy in a black box theater at midnight, and Adam Sandler was in it and we would do impersonations. I created the character of Mary Katherine Gallagher in that show, so early on I just thought Madeleine was amazing. And she knows how hard I struggled to make it in comedy, so I think that’s why she thought I would be great to play Emily Dickinson. After Emily’s death, Susan’s name was erased from their correspondence. How did their relationship come to light? 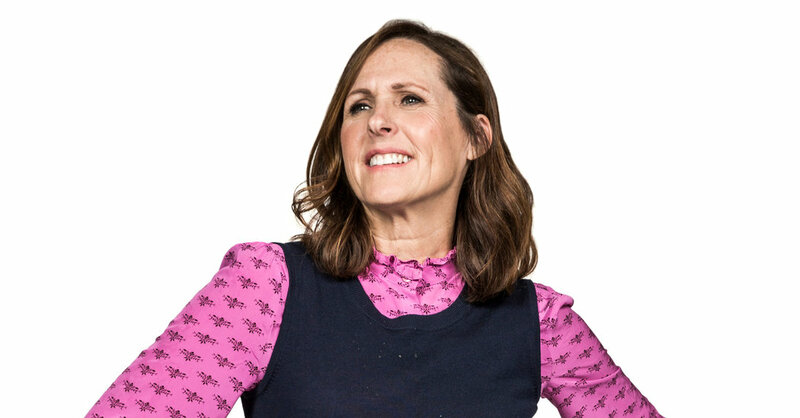 Be the first to comment on "A Word With: With a Rebel Yell, Molly Shannon Claims Collusion"